I’m back with a long overdue post on this build. 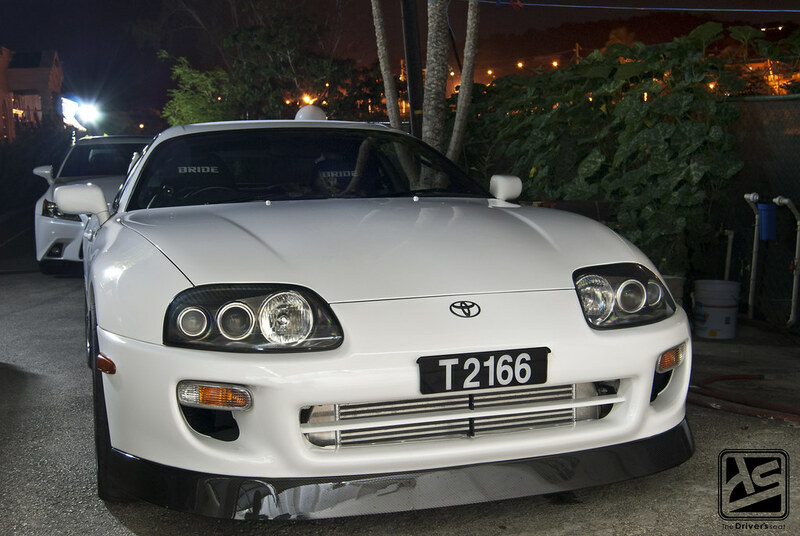 To be honest with all that was going on within the garage the Supra project was partially put on hold. Things quickly got underway once the novelty of the GT-R died down. For those of you who follow either Sol or TDSAutoMag on Instagram, would know the car has finally reached completion and is currently on the roads driving. However, I will be picking up where I left off and taking you all the way up to the first startup. I’ve also included some bonus footage at the end of this post. 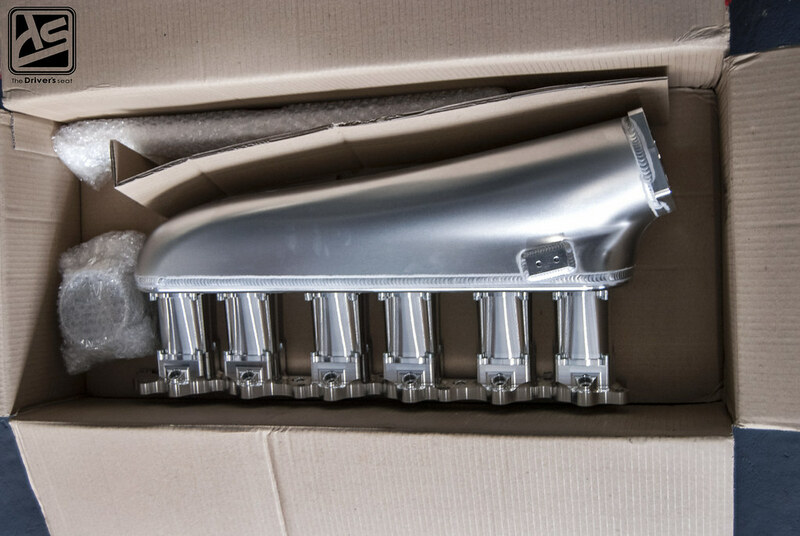 One of the more baller parts of this build is this Hypertune intake manifold. 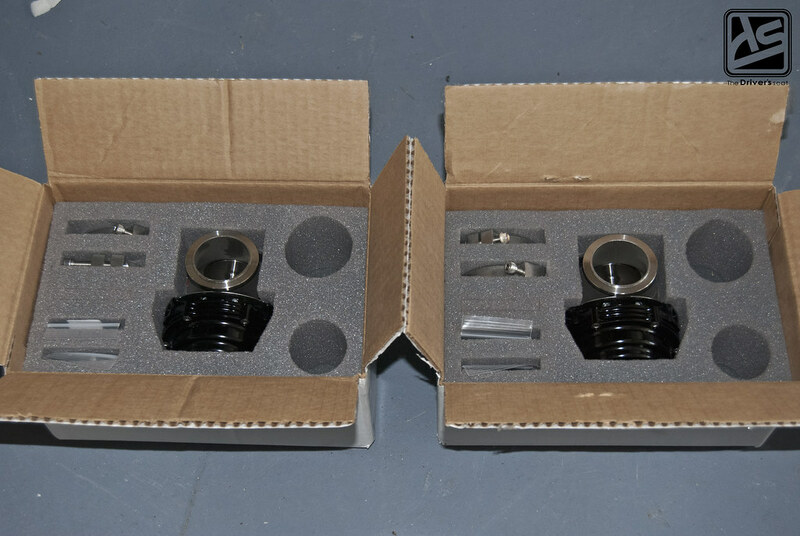 To maintain accuracy of critical dimensions, the entire intake runner is CNC machined to accuracy within .005mm. This tolerance is well beyond the capabilities of most porting services. 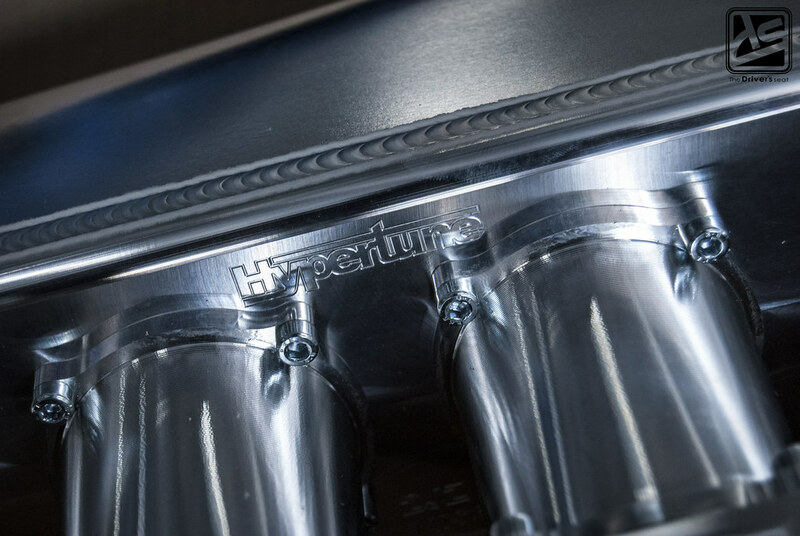 The Hypertune manifolds are designed to increase overall efficiency mainly in the mid to high rpm range, while still maintaining low rpm response. 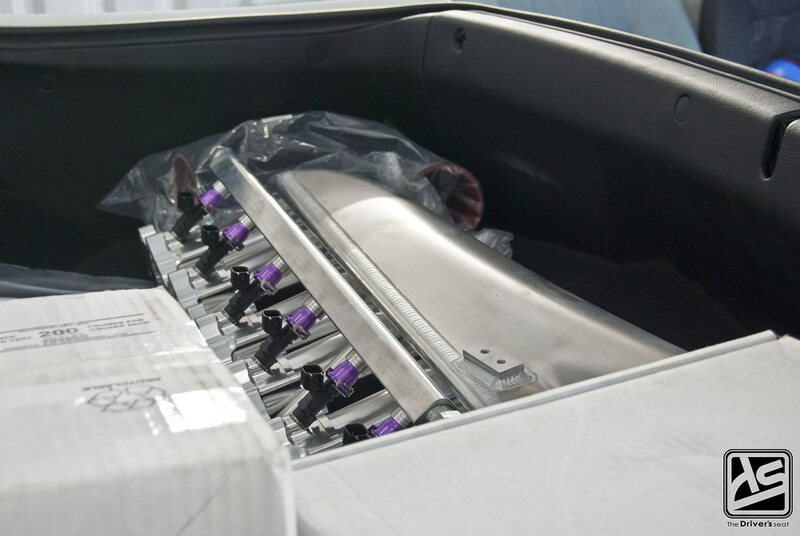 This specific manifold will provide a significant increase in mid range torque and is stated to be suitable for any application up to 1000hp. 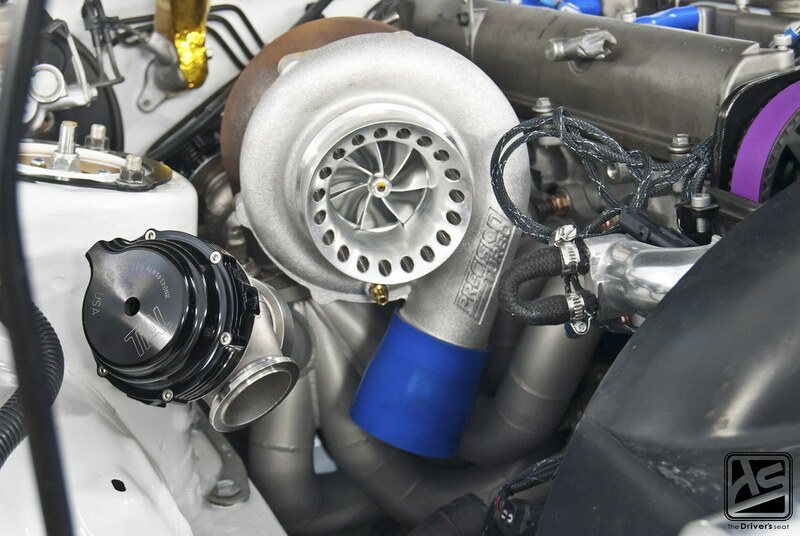 Given that the car will mostly be street driven, special consideration was made to ensure that a responsive spool time was achieved when choosing a turbo for this build. 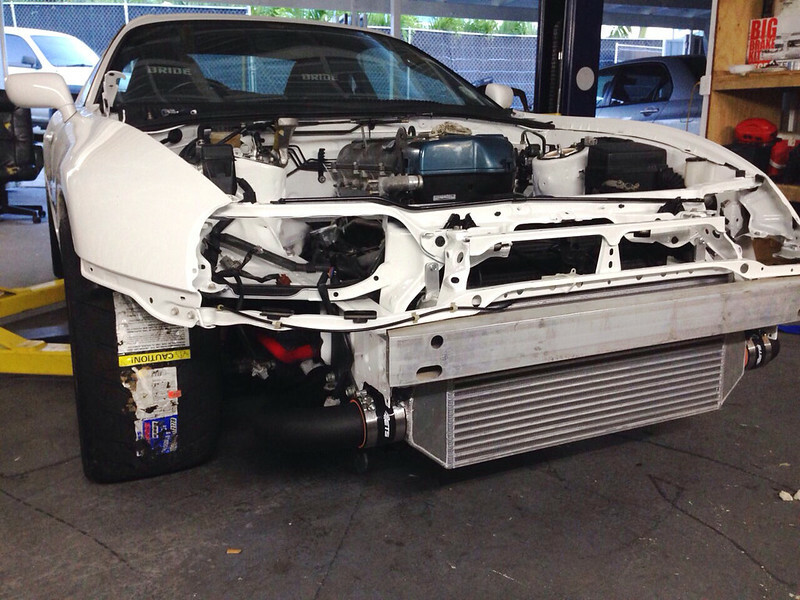 Onto the centrepiece of this build, the Precision 6466 turbo. 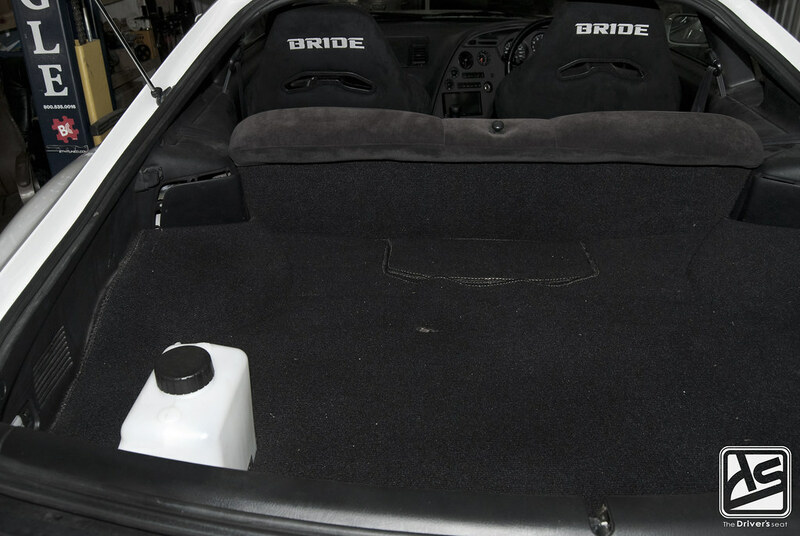 The intended horsepower goal for this build and the 6466 efficiency range are relatively close making it the perfect match. 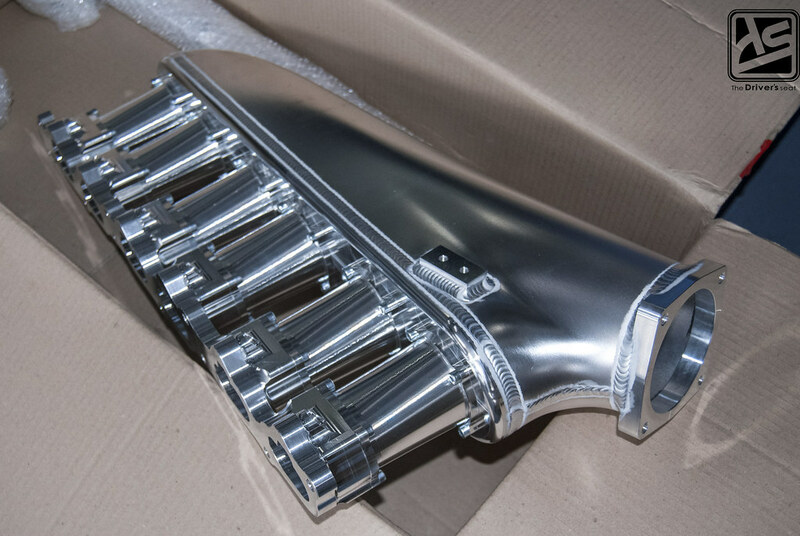 With enough power being created from low in the rpm range the 6466 will enhance drivability and provide easy acceleration from any gear, to allow for a smooth delivery throughout the power band. Based on experience with using a 6466 on his high 9 sec. 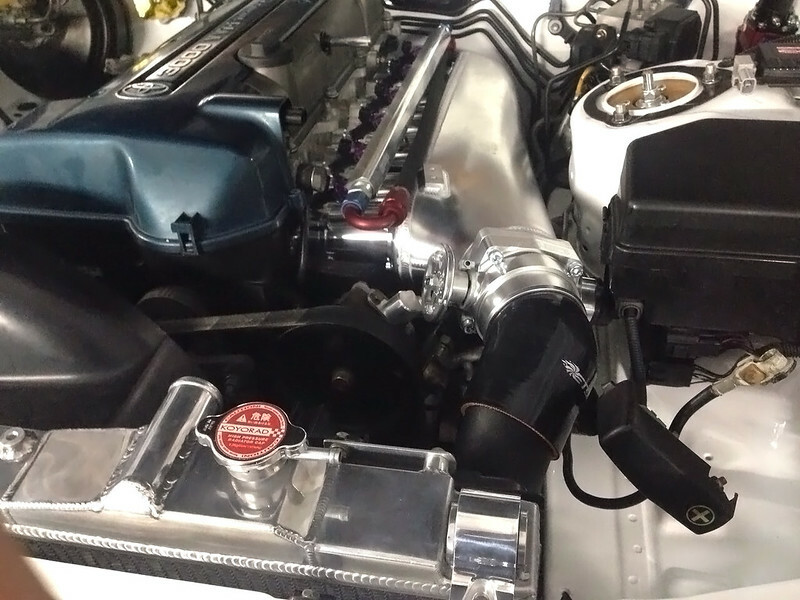 Evo IX, the added cylinders and the additional CCs the 2JZ motor has over the 4G63; a calculated decision was made to increase the back end of the turbo from .82 to a larger 1.0 A/R to help with the flow rate in the high rpm range and to reduce exhaust gas restriction. 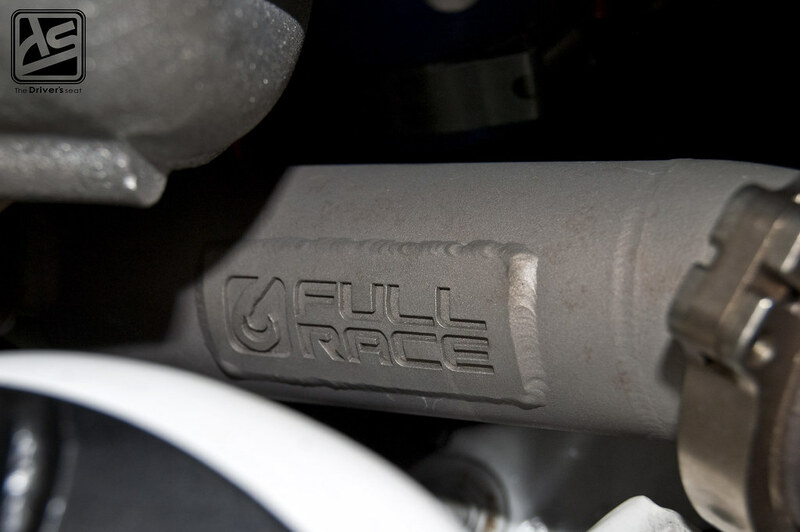 The Precision unit is mounted to a Full Race ceramic coated twin scroll T4 manifold which is designed to produce the ideal power band for 600-1100whp applications. 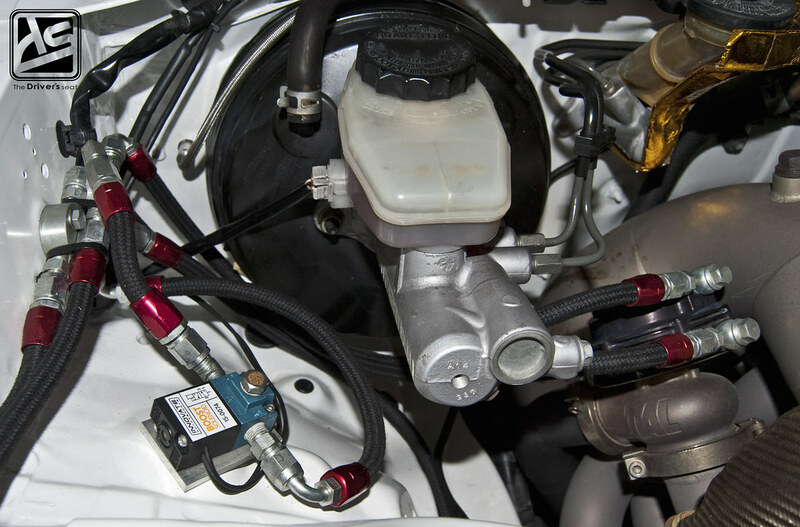 Previously, the car was equipped with an upgraded HKS ECU however with the advances in technology since this unit was released, Sol chose to go with a AEM Infinity unit. 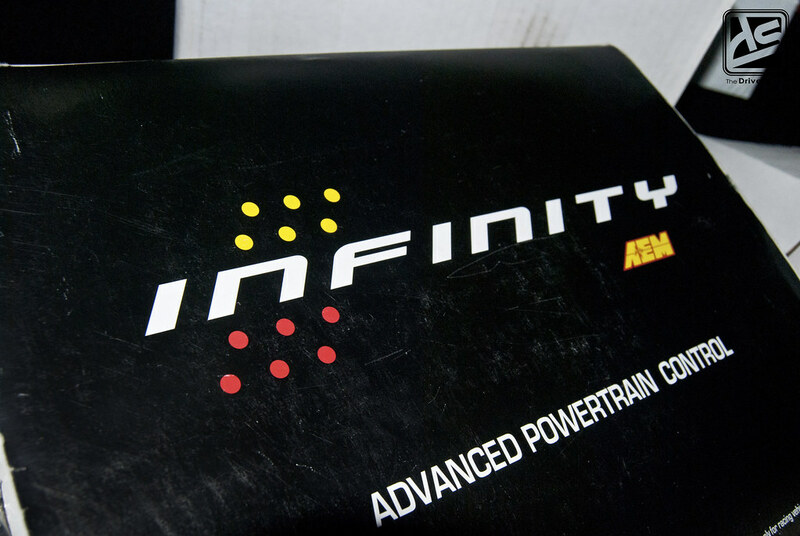 The AEM Infinity unit is one of the highest in modern technology when it comes to programmable ECUs and is used in many builds on the upper scale of motorsports. 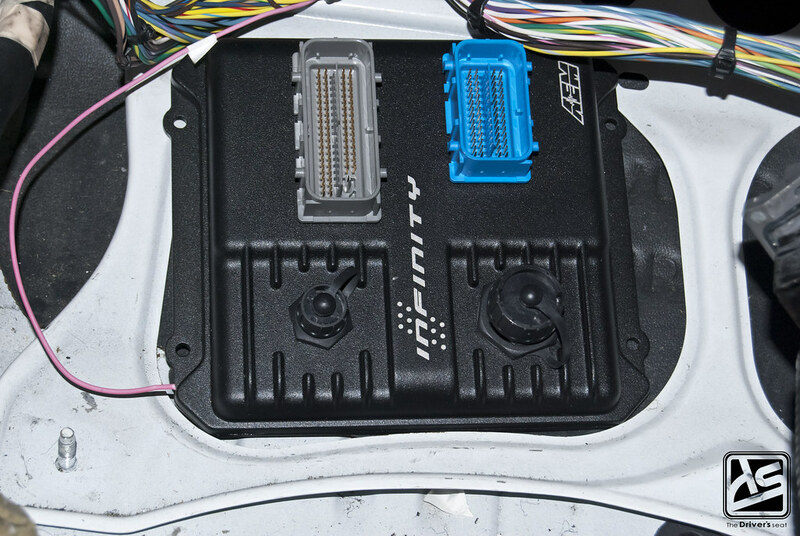 It is labelled as the fastest processing aftermarket ECU on the market, which allows the Infinity to do more while being faster in a more stable programming environment. 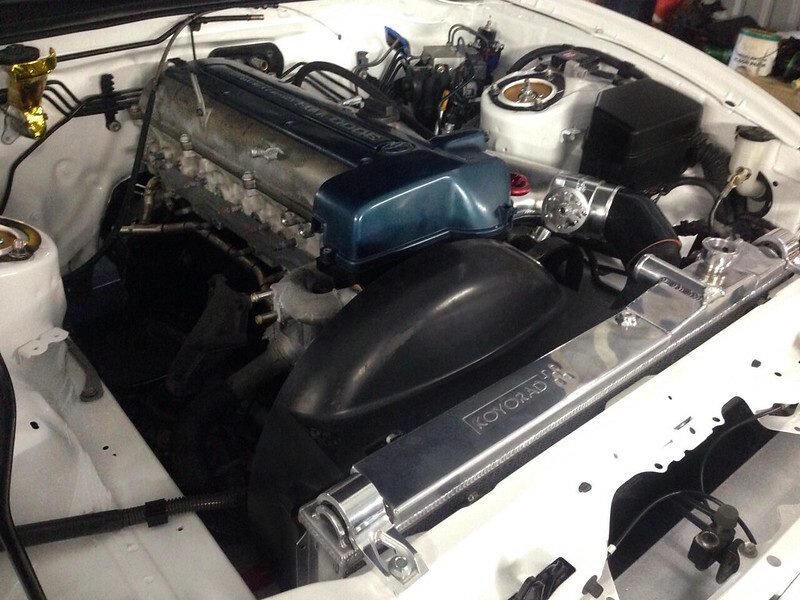 Water/methanol injection can be found in any modern high power project and Sol made sure to include it with this build. The main benefit of water/meth injection is to prevent detonation, and in the process some additional benefits are gained. With the added air/fuel mixture being forced into the motor by the turbo, more heat is created, by adding water/meth to the air/fuel mixture it allows it to burn at a more efficient rate thus avoiding detonation. The result of reduced detonation will enable the motor to handle an increase in boost pressure and in-turn produce more power. 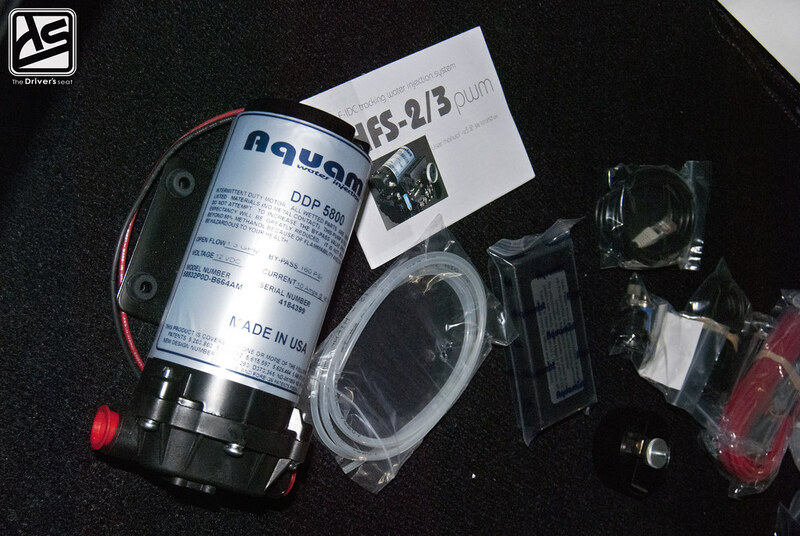 The introduction of water/meth injection will raise the octane level of the gas being used, which for Sol is a big plus; taking into consideration that the car will be street driven on pump gas and factoring in our sub par octane levels, the use of water/meth injection will be perfect for his setup. 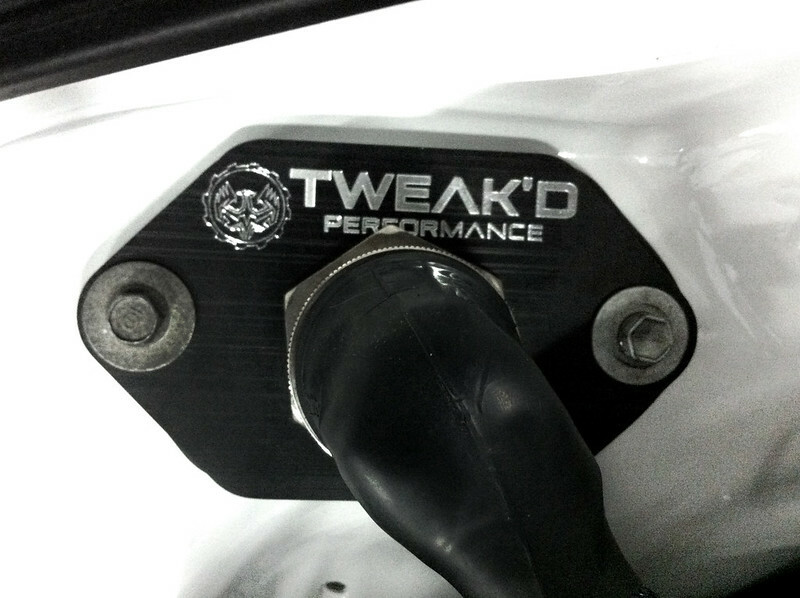 With a higher octane fuel mixture, more timing can be added to take advantage of the increased boost pressure. 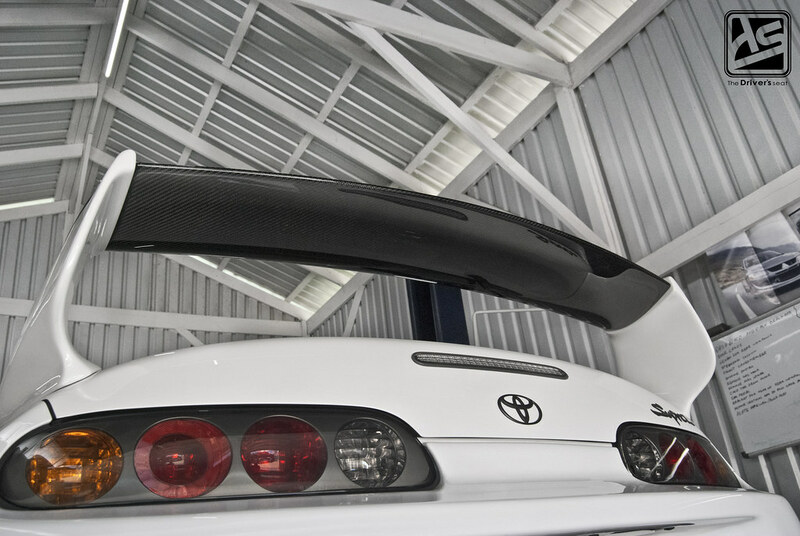 From the time Sol purchased this car one of the must have pieces was this TRD carbon fibre spoiler. 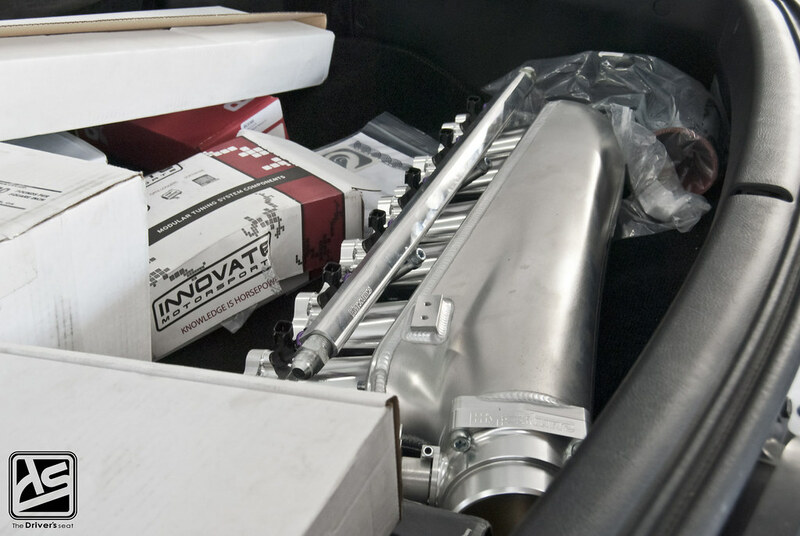 Even though a decision was made to retain the 3″ titanium exhaust, Sol couldn’t help himself and went ahead and upgraded the latter portion of the exhaust to a Extreme Turbo Systems 4″ titanium piece with matching titanium muffler. 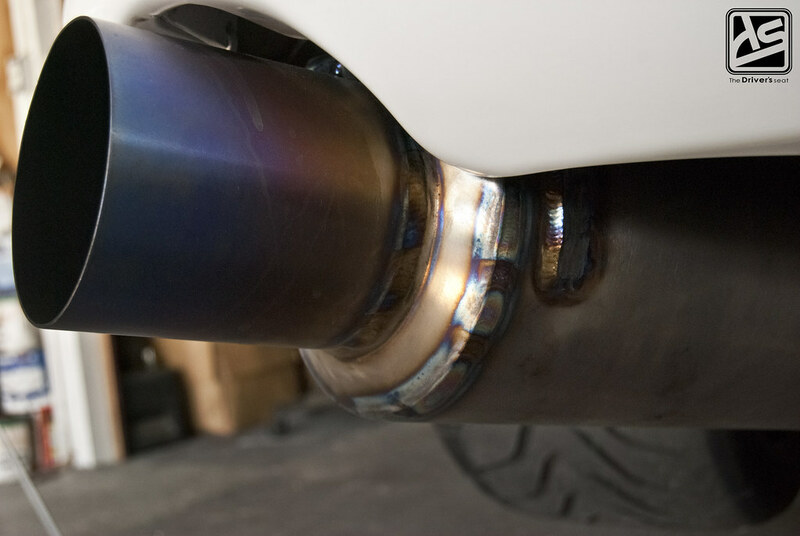 Apart from the aesthetics and the performance gains this portion of exhaust is very lightweight, at just under 17lbs. 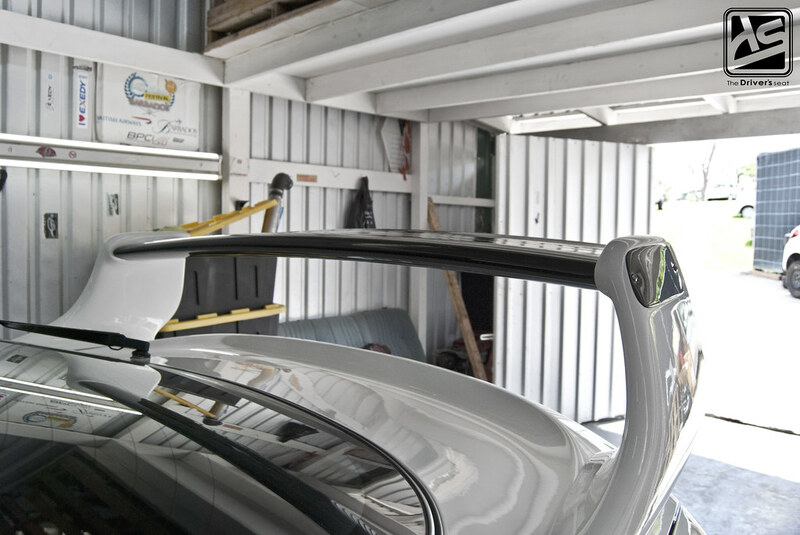 After the screamer pipes were fabricated and test fitted, they were sent off to Caribbean Powder Coating to be ceramic coated. 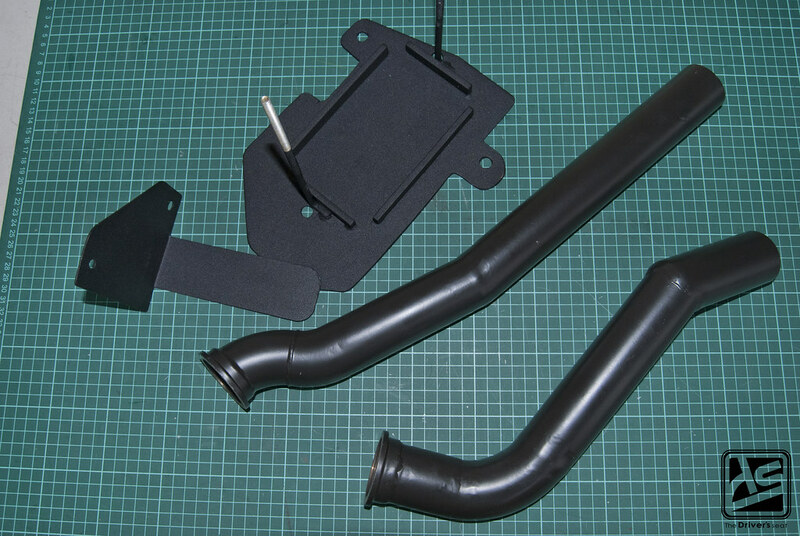 A battery tray was fabricated to house the Braille unit which was also sent to be powder coated along with the coolant bottle in a wrinkle black finish. For any powder coating needs you can check out their Facebook page. An overhead shot to get a better view of how it comes together. 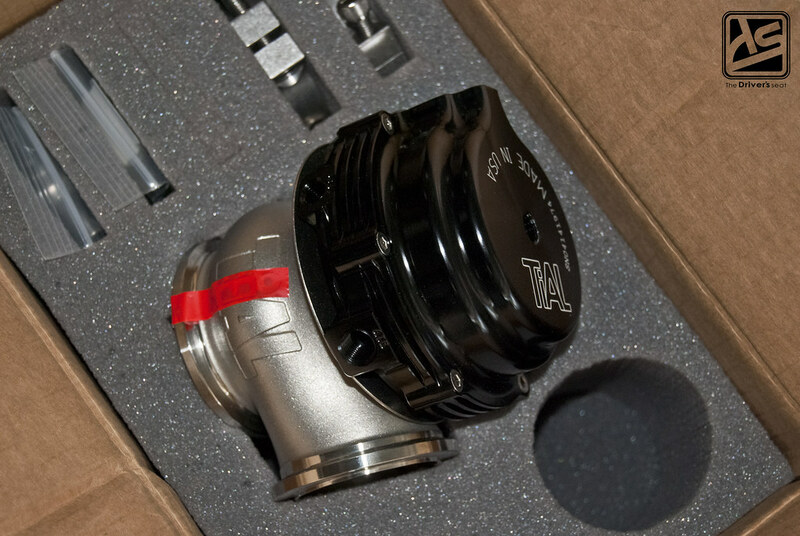 As for the new additions to the bay, the turbo received a blanket along with a 4″ stainless steel intake pipe with a K & N filter. 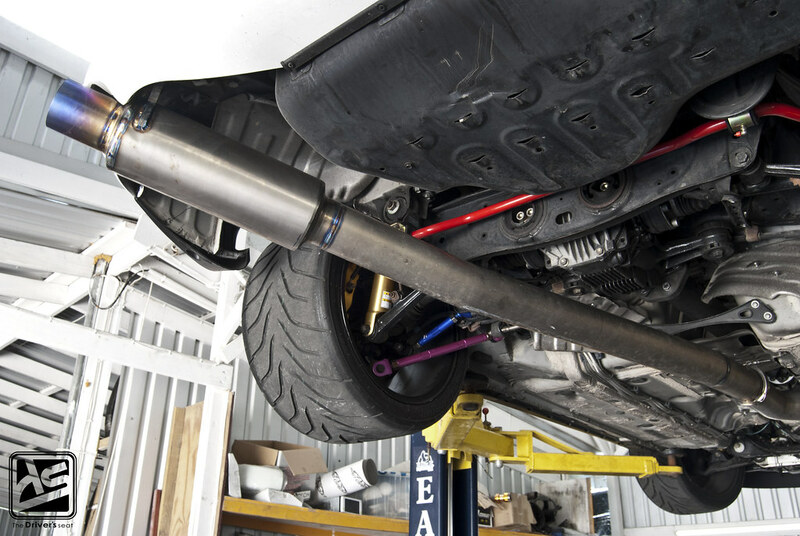 In the suspension department a Cusco Strut brace was added for additional rigidity. 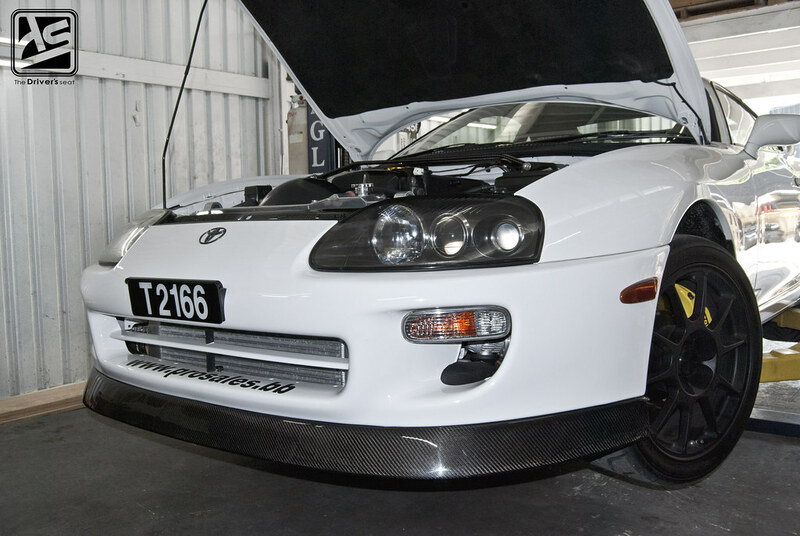 With the additional boost the engine will be receiving via the Precision 6466 turbo, the pressure needs to be regulated and this is done through an Innovative Motorsports SCG-1. This unit also acts as a wideband air/fuel controller, programmable shift light and on top of that is capable of data logging. 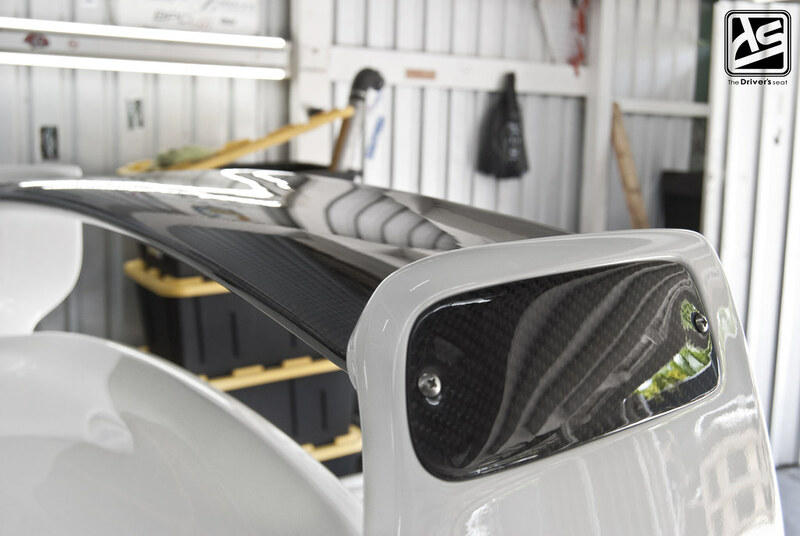 Another impressive feature the SCG-1 has is a boost cut safety that uses air/fuel ratios and pressure references. After the first boost cut it allows the motor to build boost, however if the there is another spike the uint will give you a warming that something is wrong. 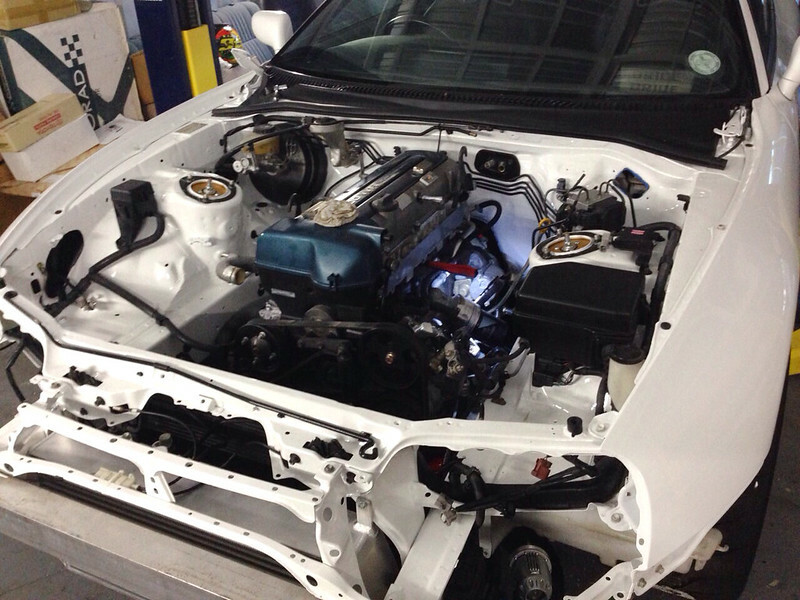 With all the technology poured into the SCG-1, it really is a great all in one piece to have for any serious build. 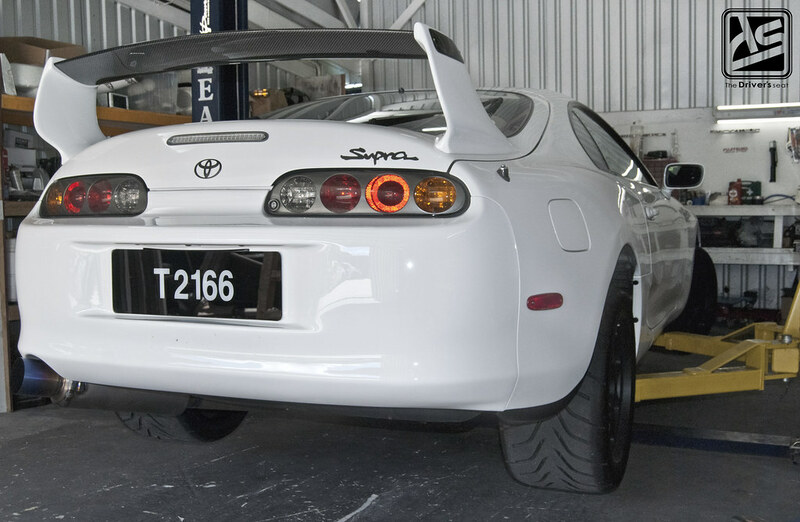 Thanks for taking this journey with me throughout the entirety of this project, at the moment there is nothing set in stone for future plans but you can be certain that Sol will continue to enjoy this car to the fullest as time moves forward.